There are some things that should not be forgotten, some truths not forsaken. This is a story torn from the pages of antiquity, in an age where gods ruled the land: two men, two nations, drawn into an immortal struggle. 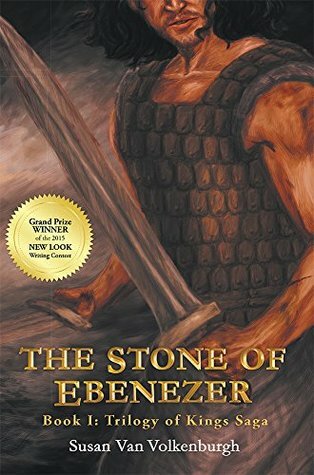 THE STONE OF EBENEZER is a sweeping saga of loss and revenge that takes place in the days of the last judge of Israel. You will travel from the foothills of Ephraim to the coast of the Great Sea, through a tapestry woven with details. There is always more to a story than what is read upon the pages of a book. It is when you understand the experiences and motives of an author that you can truly see the message delivered within the novel. Why did the author choose to write this particular story? What message is the author attempting to convey? When you know the answer, a depth of revelation strikes you, a secret insight that you alone share with the writer. So what led me to write THE STONE OF EBENEZER? On September 11, 2001, my father was killed by terrorist. The aftermath of this tragedy threw me into a struggle with doubt, grief, and trauma. I sought relief by reading, especially works of Tolkien. His experiences and insight into the subject of death and loss helped me to come to terms with my own journey. Through this experience, I began to feel a story growing inside of me. THE STONE OF EBENEZER—the stone of help—became an outlet for the lessons learned upon this road I was forced to travel. Yet why this particular story? I wanted to write about King Saul. The epic struggle between this tyrant king and his man, David, spoke to me. As I was developing the novel, I felt strongly that I needed to build up to the story of Saul, bringing to light the relationship between God and His people so that there would be an understanding of why it was wrong for the Israelites to ask for an earthly king like all the other nations. The story came, but this nagging image of another character kept taking my attention. I added scenes to the beginning of my book in an attempt to quell the voice of this one leaning heavily against my mind. Then it came to me, as so often thoughts do, in the dark as I lay in my bed: make it its own story. There was a message that needed to be told, a tale of importance, if not for the reader, for me. For you see, Nagad’s story is my story. His hurts, his thoughts, his struggles: they are all mine. To read this story is to read who I am. It is the journey I have taken. 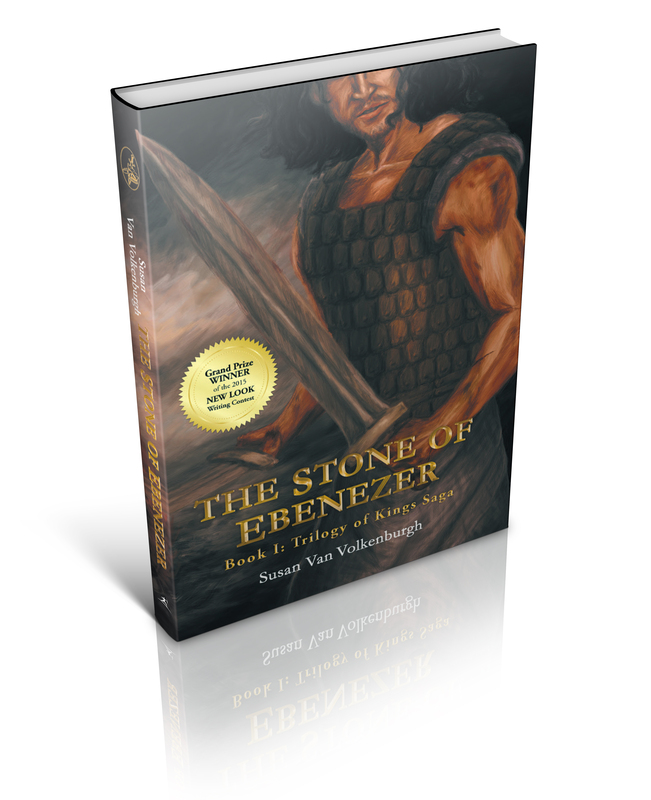 THE STONE OF EBENEZER is a metaphor of life, my life. It may very well be of yours. Whether your struggle is physical, or metaphysical, the battles we face are brutal. Yet, even as we face the trials in our life, there is One who can help us—our Stone of Help. We have a choice: lean on God, or do it our way. THE STONE OF EBENEZER is such a tale. As the characters face the struggles in their lives, they also have a choice. But will they choose well? May the Light of God shine upon your path. The sun stood at its full height over the once lush valley, laid to ruin by the ravages of war, now a barren wasteland littered with corpses and blood-soaked earth. Heat bore down upon them despite the early spring season. A sanguineous aroma filled the air, mingling with sweat as it ascended to assault the nostrils. Blood spewed forth from his victim as his sword sliced through flesh and bone. Nagad looked with horror at the great slaughter strewn about the field: soldiers ran, bodies fell, smoke rose. He seemed to be caught in a raging tide that threatened to engulf all in its path. The air rang shrill with the sounds of battle: swords clashing, spears splintering, cries of the dying. Nagad retched as he took in the scene. From behind, he heard the creak of leather and the scrape of metal. Startled, he spun around. He caught the glint of a sword as it struck out at him. Instinctively, the young conscript lifted his shield to block the blade of the large Philistine. The thrust was deflected, but the tip of the sword nicked Nagad on the left shoulder. Down his bare arm, warm blood trickled. He had no voice. The enemy lunged at him with intimidating agility. Spurred on with renewed vigor, Nagad sidestepped, striking his foe across the left flank. The enemy recoiled, drawing himself away from the inflicting blade. But his armor was thick; the sword turned aside, marring the breastplate, yet not biting flesh. The Philistine growled as he swung down upon the young Hebrew. Nagad brought his shield up to meet the enemy’s blade. His footing gave way as the brutal attack pushed him back. With unrelenting waves, the adversary beat down the young conscript. Size and experience served the enemy well as the youth struggled to stand against the onslaught. Their swords rang as the contest raged. The young conscript grunted in his effort. Taking a clout to the head, Nagad fell, landing hard upon his side. “It is enough,” spat the enemy. As he lifted his shield, the young Hebrew pushed with his feet against the hard earth, scrambling away from the foe. The Philistine paced toward his prey. Standing over the encumbered youth, the enemy raised his sword. “Away with you dog!” snarled the Philistine. Sorry folks, that is all I’ll give for now. I hope that whet your appetite. Don’t forget to follow this blog to receive email updates to see the progress of this novel. I will be announcing the release date very soon! I am honored to introduce this work by Susan Van Volkenburgh and to encourage her to pursue the completion of the series, TRILOGY OF KINGS SAGA.